“Technology” and “real estate” are two terms that rarely appeared in the same sentence until a decade ago. Today, technology is undoubtedly one of the hottest topics in the industry as it continues to transform the way we buy and sell homes. While real estate is still very much a relationship business, @properties embraces technology in ways that enhance the consumer experience and keep our clients ahead of the curve. At the heart of this effort is pl@tform™, @properties’ proprietary suite of end-to-end technology applications that help make the buying and selling process more seamless. pl@tform™ was developed in-house, by @properties’ programming and marketing teams, and is constantly being updated and refined to respond to the ever-changing realities of real estate in the 21st century. 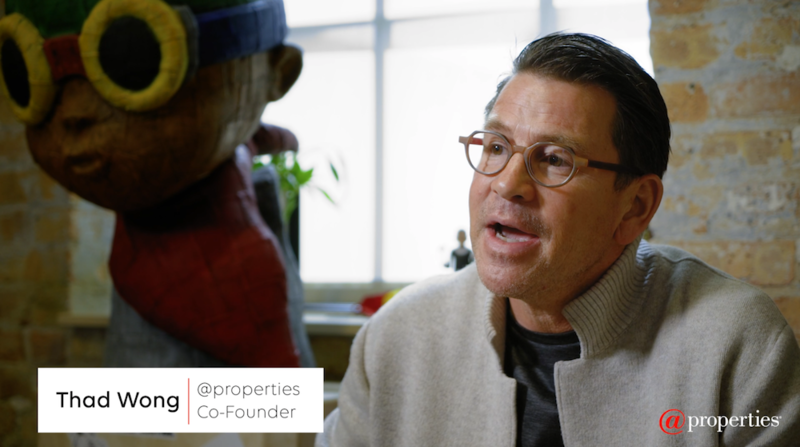 This month, we sat down with @properties co-founder Thad Wong, an Inman News Innovator of the Year, to learn about some of the key features of pl@tform™ and their benefits to consumers. Watch the video below. Kelly is the corporate communications manager for @properties.